Every woman, especially a bride to be, should take care of her skin, however, sticking to a skincare routine is not always easy, and as a bride to be you need a super easy and quick skincare routine that will not take a lot of time to apply. Brides are always looking for the latest and best beauty products out there to try on before their big day. After all, a bride wants a glowing, pure and clean complexion that shows off her natural beauty on her wedding day. The good news is ladies - we have exactly what you are looking for. Healthy, glowing, and perfect skin has never been easier to have with these amazing beauty products from FOREO. When it comes to finding a beauty product that combines saving time and giving great results, FOREO came with the solution! 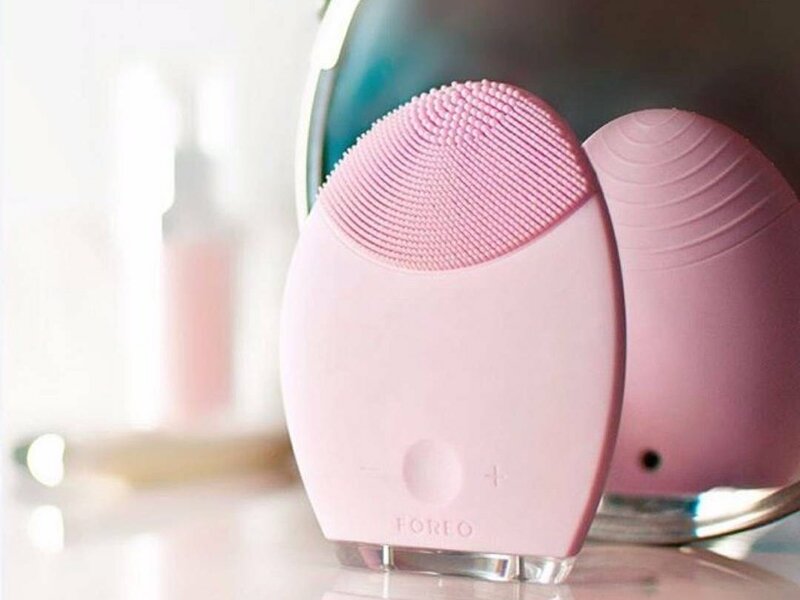 Here is what you need to know about this amazing beauty product brand: FOREO is a Swedish multi-national beauty brand founded in 2013 that created facial cleansing brushes, sonic electric toothbrushes, cleansers and eye massagers. The brand brings new standard of high-end beauty and wellbeing solutions to a wider audience than ever before. FOREO is simply short for "For Every One", because their moto is to create amazing and accessible solutions that benefit everyone in their everyday lives. How cool is that! Women from all around the world are always looking for the best, easiest, and most efficient way to have soft, smooth, and healthy skin, and FOREO is all about combining beauty with technology, to reach the best results. Let us tell you more about the LUNA range from FOREO. LUNA is a sonic face brush that eliminates blemish-causing impurities while remaining extremely gentle on the skin, all it takes is one minute twice a day for a fresh, clear and even-looking complexion. And whether you are a bride to be or not, as a woman we know how skincare routines can take a lot of time, money, and effort, but this brush will help make your skincare routine much easier. Stylish and Easy to Carry with You! Not only are they amazing for your skin, but they are also stylish and can be carried anywhere. The LUNA mini 2 range comes in 5 eye-catching shades so you can find the color that speaks to you. The LUNA 2 comes with specially engineered silicone brushes, T-Sonic power gently pulsates against the skin and removes dead cells and unclogs pores for firmer, cleaner results. On the other side of the LUNA 2 are grooves that use lower-frequency pulsations to reduce signs of age. The whole process takes 2 minutes, and it’s safe to use up to 2 times a day. Enhances absorption of your other skincare products. Tones and massages your face for firmer-looking skin. How do you use the LUNA 2 brush? It is an effortless skincare ritual that you will love! How to keep your LUNA brush clean? The LUNA brush does not absorb any bacteria and is super easy to clean and dries up really quick. So if you're looking for the latest device in beauty and skincare the LUNA is here for you, it will help you take care of your skin and adds a boost to your existing skincare routine. Luna products are now available on FOREO official site. You can also find the FOREO beauty products on namshi.